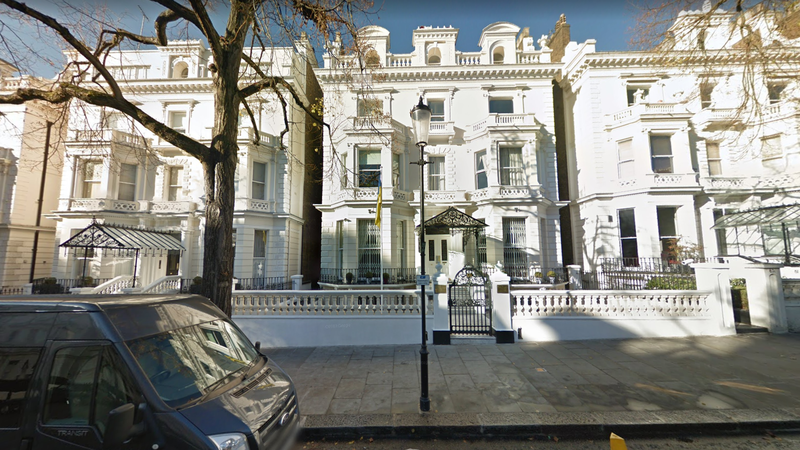 "The official vehicle of the ambassador of Ukraine to the United Kingdom was deliberately rammed as it sat parked in front of the embassy of Ukraine's building", a statement from the embassy said. It added police were "forced to open fire on the perpetrator's vehicle". When officers arrived on the scene, a auto was "driven at them", Metropolitan Police said. It added that the man was arrested after a vehicle was driven at police officers. Police said the incident is not being treated as terrorism-related. Police did not report any injuries to the suspect.